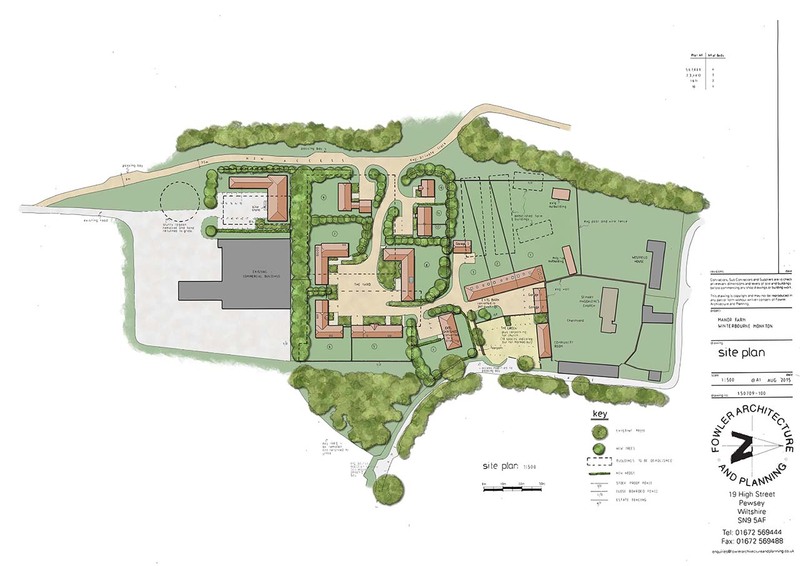 This farmyard development was granted planning permission in 2015. The scheme includes eight new buildings, as well as four converted barns. There is also space for Community Building, and employment opportunities. The site is in a sensitive location, both outside the Village Settlement Boundary, and in an Area of Outstanding Natural Beauty. The farmstead is also historically important, as a World Heritage Site sits nearby. Our design aims to compliment all of these factors. By restoring the redundant farmyard, it becomes part of the community again. 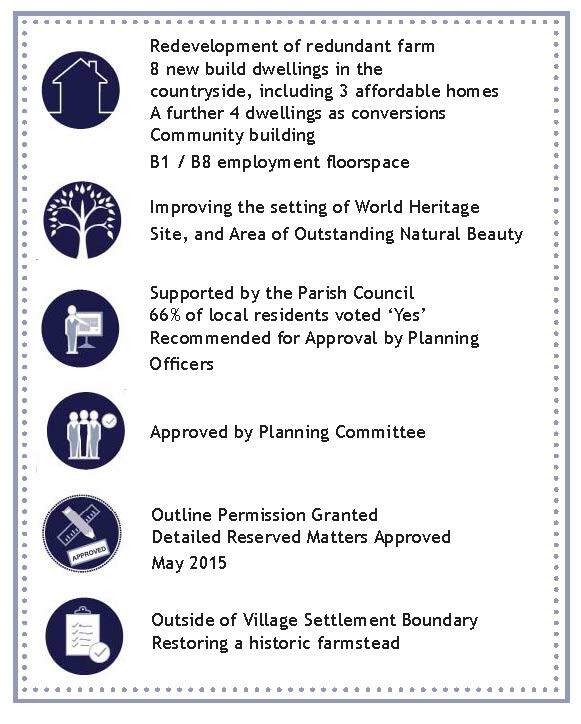 Check out our Planning Services for more information on our planning strategy.